Home > News > Super Neptunia RPG Coming to Europe Spring 2019 + New Merch Announcement! Super Neptunia RPG Coming to Europe Spring 2019 + New Merch Announcement! Your heroic journey in your new, two-dimensional life will begin Spring 2019 when Super Neptunia RPG releases in the Europe on PlayStation 4 and Nintendo Switch! We're very happy to share the opening movie with you, so please take a look! 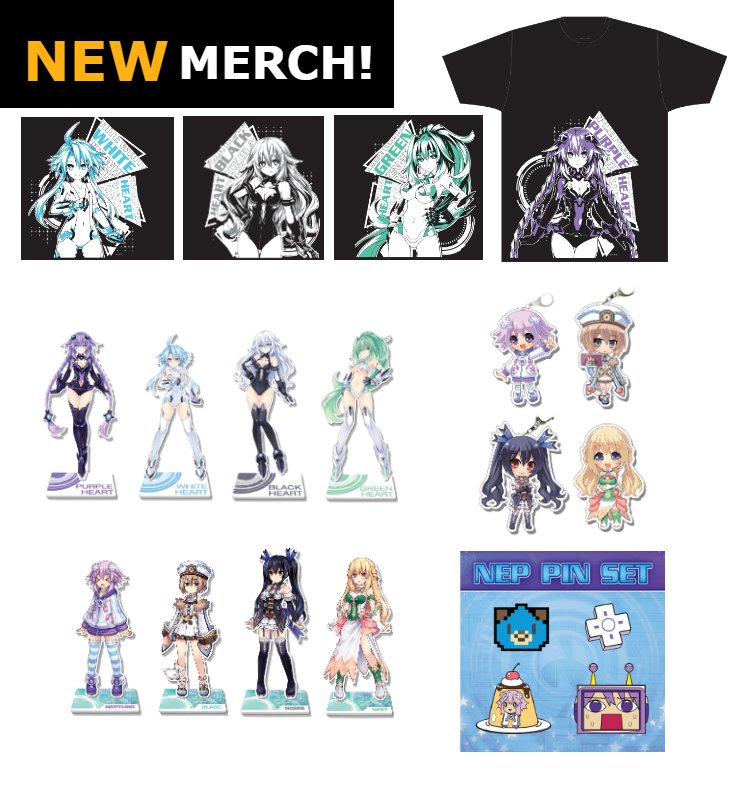 While your senses are still recovering from a Neptunia overload, feast your eyes on all of this merch! From shirts, to pins, to standees. We've got everything you'll ever want to show your loyalty to Gamindustri and your best girl! The new merch will be arriving on Iffy's European Online Store soon so make sure you're stay tuned!